And I saw heaven opened, and behold, a white horse, and He who sat on it is called Faithful and True, and in righteousness He judges and wages war. His eyes are a flame of fire, and on His head are many diadems; and He has a name written on Him which no one knows except Himself. He is clothed with a robe dipped in blood, and His name is called The Word of God. And the armies which are in heaven, clothed in fine linen, white and clean, were following Him on white horses. From His mouth comes a sharp sword, so that with it He may strike down the nations, and He will rule them with a rod of iron; and He treads the wine press of the fierce wrath of God, the Almighty. And on His robe and on His thigh He has a name written, "KING OF KINGS, AND LORD OF LORDS." 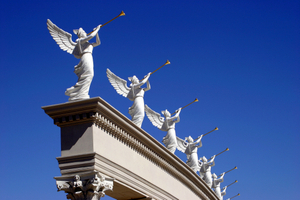 This is a countdown to Yom Teruah, the Day of Trumpets described in Scripture. Why the Day of Trumpets? Our prayer is that this will be the year the Messiah returns. Hold on a minute. Messiah isn’t supposed to return until the last trump! This is true… but what is "the last trumpet"? Yom Teruah [the day of trumpets] is also known as the Day of Judgment. On that day, the shofar [a ram’s horn] is sounded 100 times. The teruah, tekiah, shevarim pattern of sounds (1 set) is sounded 99 times. The 100th set is called the final blast or the last trump… and this only occurs on Yom Teruah. The "last trump" sounds each year. Let us pray that this is the year of the Lord’s return. Wait just a second. Nobody knows the day or hour of Messiah’s return! 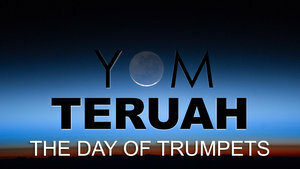 Yom Teruah, the Day of Trumpets is the only one of the Lord’s appointed times that begins with the new moon. All the other feasts/festivals began later in the month. As a result, it became known as the day when nobody knew the day and hour it began. In the parable, it was the foolish virgins who weren’t prepared for the day or the hour. Messiah cautions His disciples to "watch therefore". In Mark 13:32-37, He repeats this admonition to "watch". The signs of the coming day of the Lord! The faithful and sensible steward is prepared while the drunk and unfaithful slave did not know the day or the hour of his master’s return. In Luke 19, the Master condemns the leaders of His day that they didn’t recognize "the time of your visitation" (Luke 19:44) and Messiah’s first coming. They should have been watching and preparing. Let us keep watch for the Lord’s return and not be caught unaware like the foolish virgins and the unfaithful slave. Hold up there, buddy. Messiah's return is supposed to come like a thief in the night! Let's look at a bit more of that passage. Paul tells the believers in Thessalonica that they are not in the darkness and the Day of the Lord should not overtake them as a thief. 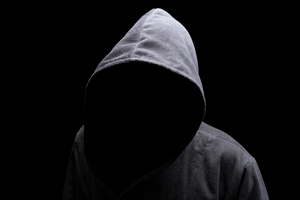 It is the spiritually blind, naked, dead, and lukewarm believers who find Messiah coming unexpectedly... like a thief. Some have called that supervisor of the guard a "thief [someone unexpected] in the night". May we not be spiritually blind, naked, dead, or lukewarm like those to whom the Lord's coming will be like a thief in the night. About us and this site. ReturnOfTheMessiah.com is a service of the Psalm 119 Foundation, a non-profit educational organization dedicated to sharing the Word of G-d and encouraging others to follow the Messiah of Israel. We offer free online services ranging from the teachings of the Rabbi Yeshua on TheRabbi.org, topical Bible studies, commentary, timelines of Biblical history, and other resources on Psalm11918.org, to our fellowship finder on FellowshipFinder.com that connects believers with one another all over the world. 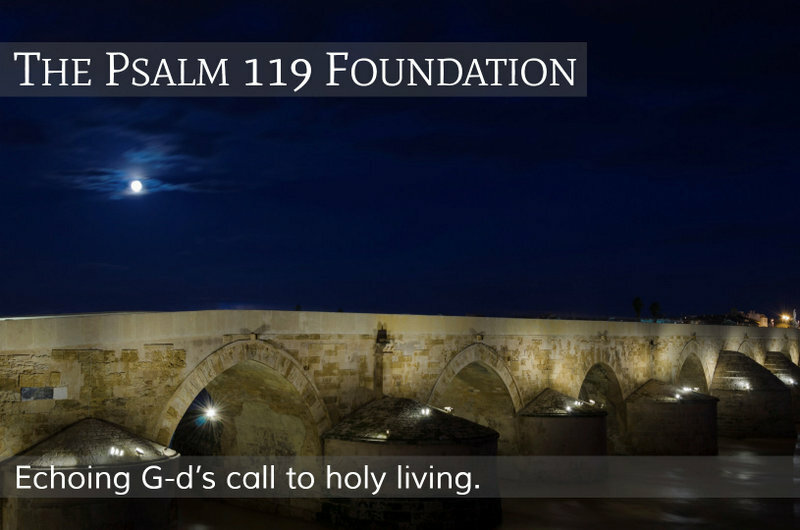 Learn about all of our services at ThePsalm119Foundation.org. The Foundation was created to serve those who believe in the risen Messiah of Israel. If you desire a life holy and set apart to G-d, let us serve you. 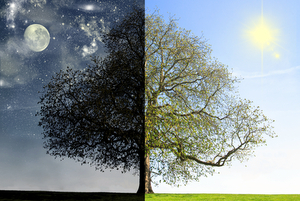 Are you predicting the date of the Rapture? Are you predicting when Christ/Messiah/Jesus will return? When Messiah came in the first century, it was in fulfillment of the spring moedim [festivals] to the day and to the hour. We believe that He will come again in fulfillment of the fall moedim to the day and the hour… beginning with Yom Teruah, the Day of Trumpets. Perhaps. Only the Father knows. Generally speaking, believers have forgotten G-d’s holy days and how they reveal the Messiah. This site exists to remind us all of those days and of Messiah’s pending return… whatever year that may be. Let us all be prepared for His return! Send us a quick message and let us know how we can serve you. Copyright © 2015 The Psalm 119 Foundation. All rights Reserved.